Amazing ! Cozy mountain cabin on beautiful, clear, rocky and picturesque mountain stream with 'Central Air'. Keywords: Mountain Cabin - very private, serene and peaceful. Across from National Forest. 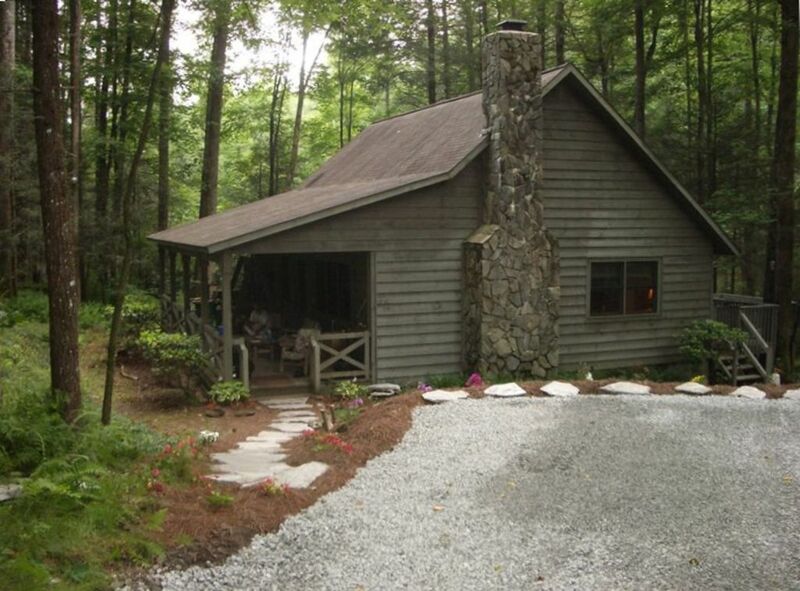 privately owned great get-away in beautiful nature-filled cabin on clear, rocky, mountain stream. Beautiful setting, great stream, privacy, national forest across street and hiking right out the front door. We looked for this perfect piece of heaven for more than 5 years. It had everything we were looking for... privacy, natural setting, heavily wooded and bold stream, yet close to downtown Cashiers and Highlands, both with grocery stores, lots of restaurants and unique shopping experiences. Peacefulness, getting away from our hectic day-to-day lives. Beautiful setting with scenic hiking close by. Chattooga River (A designated, Wild and Scenic River) is less than 1 1/2 miles away. Lots of waterfalls, fishing and beautiful golf courses nearby. Favorite hikes: Whiteside Mountain, unique Granite City and the one right out the front door down the hardly traveled road. Beautiful, scenic, rocky mountain stream. Exploring Waterfalls, Lake Glenville, Jocasee, Keowee, Boat Rentals, Guided Fishing Trips, Hiking more trails than you'll have time to do in a month. See Granite City - Unbelievable rock formations. Tons of golf courses. Many 4-star restaurants.